I watched this show 4 times and I still wouldn't mind watching it again. A really heartwarming drama about a restaurant and the people inside. It is nice seeing one person come in and change the lives of so many for the better. 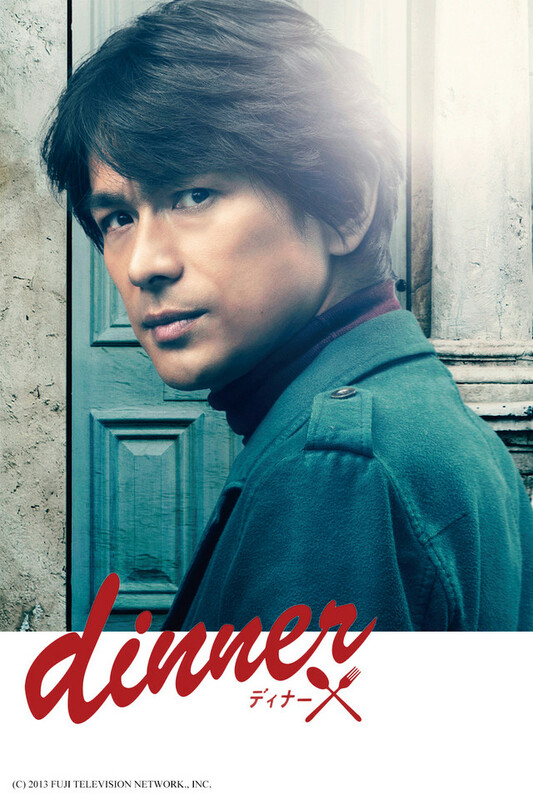 The cooking and food portion of the drama is also amazing and I love the music as well. This show really blew me away. The plot line was absolutely solid with several conflicts that ending with one ultimate resolution. The ending had me screaming at the television (in a good way) making me wish that there was more. I love how Ezaki-san's character slowly pulled you in so that he was part of the restaurant family. Overall I would recommend this drama to any and everyone. Love this drama but not the ending!!! Each ep has different situation that the chefs need to handle. They has teamwork which each person need to take turn to make any kind of food. After I watch it, I understood more about the progress in the kitchen. It's really interesting there! The ending is... but he is the person with a strange behavior, so if he stays, that won't be like him. I have always enjoyed cooking shows from the British drama "Chef", to Anthony Bourdain's "No Reservation" to "Iron Chef Japan" and now I have a new one to add. So far I have watched through episode 3 and have to say I love it. Great characters and fantastic drama abounds in this drama. Can TV shows get Michelin stars? This magnificent show captures what the art of cooking is. If you grew up with some television in the 90's you remember Iron Chef Japan. The original Iron Chef. This captures the heart of what a Chef goes thru on the day to day and the struggles financially, competitively and many more detailed aspects. This show is not only about cooking as it has a story line that compliments many of the dishes they serve. Many shows fail at showing the complexities of a job AND keeping a good story. Dinner does a excellent job of accomplishing both. This is a fantastic show. I am not into cooking and I thoroughly enjoyed it. The cast is great and every character compliments one another. The story is also well written and inspirational. It also accurately portrays the day to day routines of a restaurant and capturing the dilemma of everyday people. The first episode should instantly draw you in. Honestly, the cover image of this series creeped me out, and I was worried the series would be about something completely different than food. Lucklily, I was wrong. It's been one of the most cheerful dramas I've seen in a while, it was immensely refreshing. Brilliant show! Wish there could be a season 2! Exactly how I hoped it would be. Awesome cast, brilliant story. Funny moments, sad moments, inspirational moments. All in this awesome 5 star show! I don't watch alot of j-drama but this show was really amazing. Once you start watching it you can't stop! This is a great show with a great cast. I have always been interested in culinary arts and this is exactly the type of show I'm looking for in a drama about cooking and being a chef. However, this show go above and beyond with so many great messages to learn here, such as you should never stop challenging yourself, and to have fun in what you're doing. Grazie for the inspiration and dinner!